I look in Tigger’s bedroom in our new home and wonder how on earth he ever fitted in the box room of our old home. His room is the typical boys bedroom with toys and teddies dotted around the room in no logical order. Getting to bed on an evening is a bit like completing a task on the Crystal Maze as he as usually got his LEGO or Thomas & Friends trains scattered across the floor. Whilst he is usually quite good and putting things away, the trouble he has at the moment is that there is nowhere for him to store his toys. The furniture he currently has is the small toddler bed and wardrobes that fitted into his box room. Many of his toys had to be stored in Roo’s bedroom as he just didn’t have the space for train tracks and Hot Wheel sets. Now he has a bigger bedroom we are now looking at toy storage solutions. A great solution for keeping larger items out-of-the-way when not in use and can be easily pulled out on casters when play time commences. 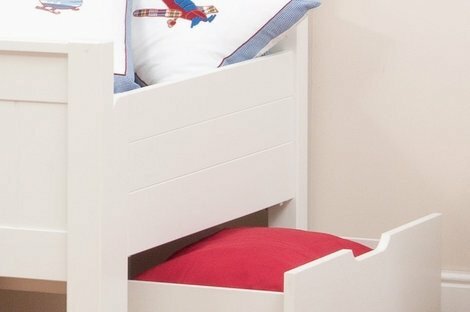 A trundle-bed is also a great idea, not necessarily a toy storage solution, however, a great alternative to bunk beds to provide that extra bed for sleepovers. Out of sight, out of mind – cabinets offer the solution of being able to either organise everything inside beautifully with everything in its place or throw it all in, close the doors and worry about another time. 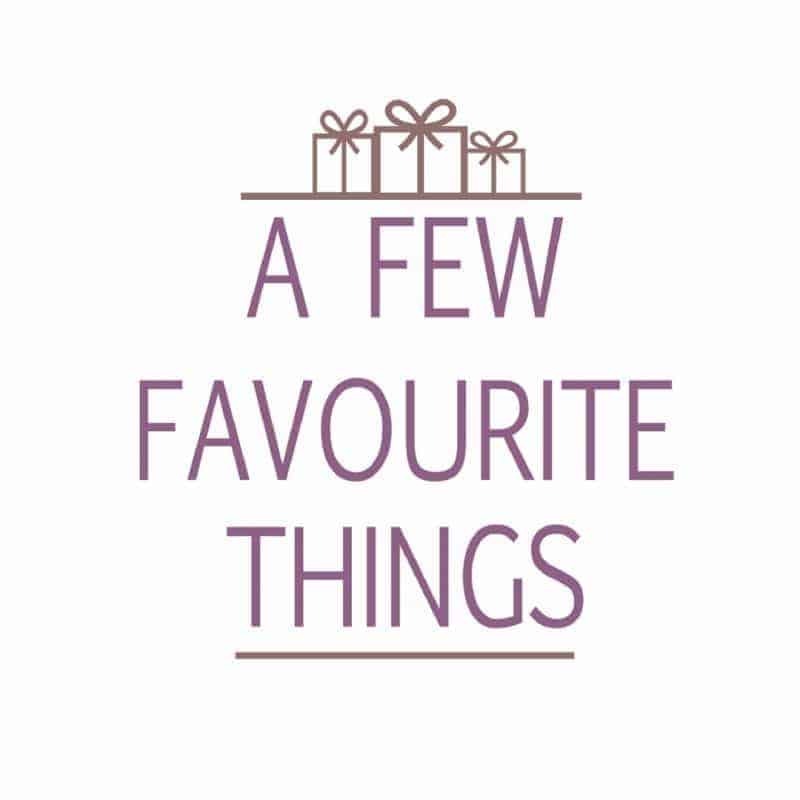 Whether you opt for a simple white style that blends into the background or for something a little more colourful they are sure to offer lots of storage space. The storage of books is a big problem, as a tradition bookcase can take up a lot of room as well as not making the books look appealing for your children to read. 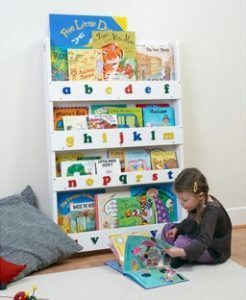 Try an open facing book shelving unit that displays the covers of the books and will hopefully encourage your child to read more as well as be easy for them to pop back on the shelves when the are finished. 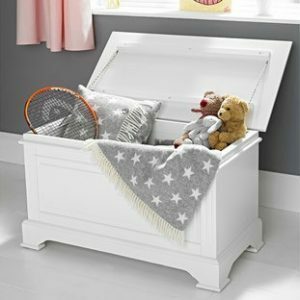 Nothing says toy storage like a traditional toy box. 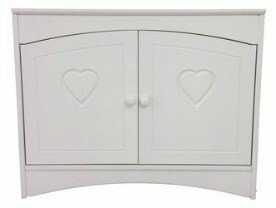 They are an iconic piece of furniture that can look great in almost any room. Available in an array of different designs from traditional blanket style boxes to ones that are a little more funky. You can choose from the top opening version or one that pulls out on castors. 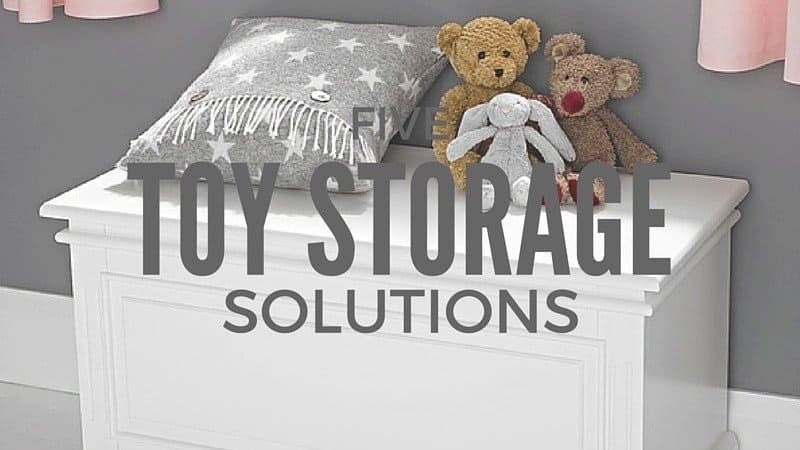 If you are looking for a portable toy storage solution then take a look at the range of fabric boxes and bags that are available. The collapsible boxes and bags mean that they can be stored away when not in use and easily brought out and filled when needed. 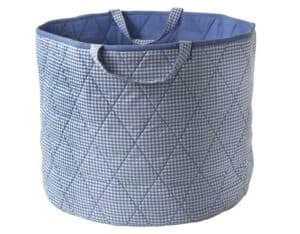 These are a great solution if you need to transport toys from home to grandparents etc. 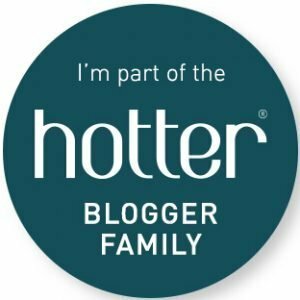 What toy storage solutions do you use?